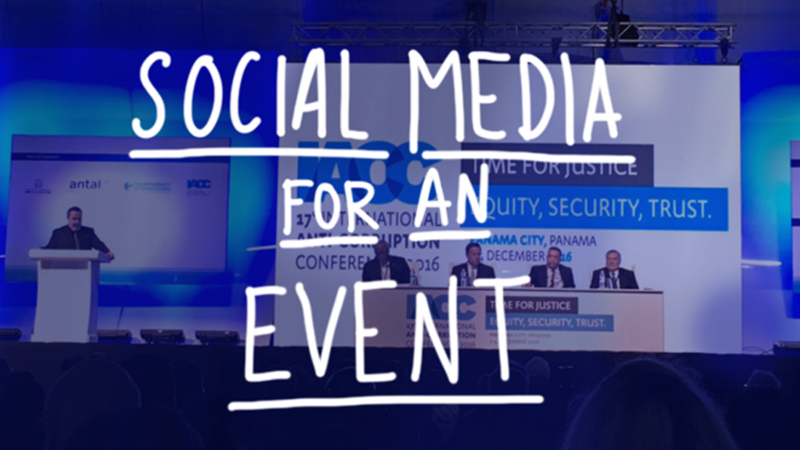 Last December 2016 I was assigned to lead the social media covering for the 17th IACC that took place in Panama City. The International Anti-Corruption Conference (IACC) takes place every two years and is the biggest forum in the world to tackle the challenges posed by corruption. The results (in my opinion) were great: 3.5 Million people were reached and we generated 14 Million impressions with an account that had less than 4,800 followers only. 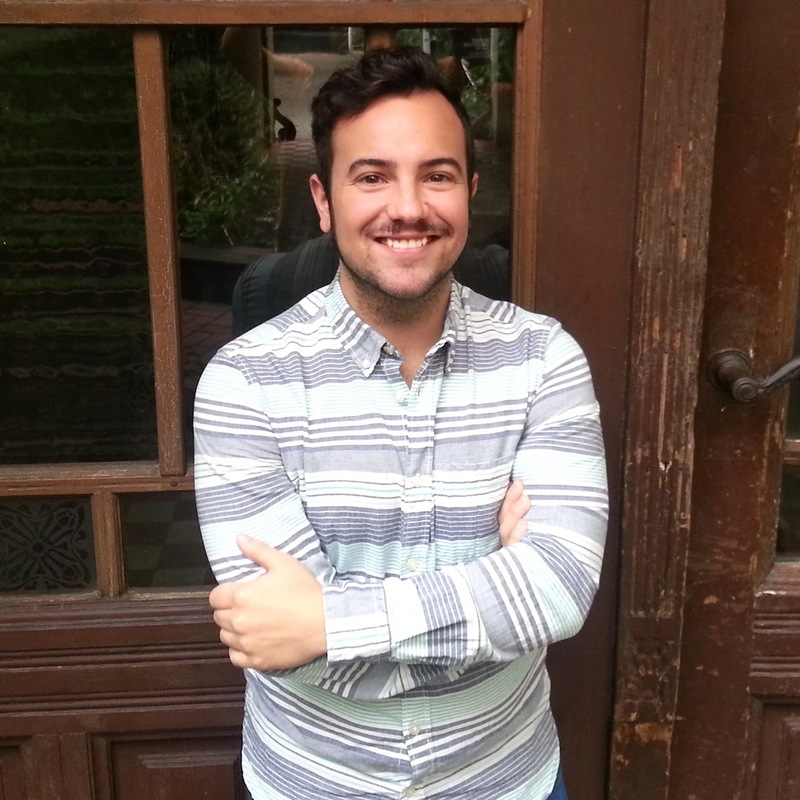 It really was a great exercise as professional and as social media user and today I want to share with you how I approached that challenge. First of all, you have to think what is going to be the use of the social channels for this conference. You need a purpose. In this case, we wanted maximal exposure and awareness and we needed to publish many things along the day. How could we achieve that? The Facebook page has +200K fans so one can assume that Facebook would work as the main channel. If only 8% of the fans of the page respond to my publications it can generate a good impact in terms of likes and, maybe, shares. After a quick look, I saw the page didn’t have much engagement. It has a big community, yes but the community is not super active. On top of that, the frequency of posting on Facebook cannot compare with Twitter. On Facebook, we publish at the most 3 times a day. How could I cover a conference with more than 100 events, 1,800 participants, and more activities going on for 4 days without bothering the people? With Twitter!! This was part of the key. Many brands include hashtags on their communications because they think is cool but then they don’t use it properly. A hashtag is meant to articulate a conversation and channel the conversation. You can participate in a conversation or own the conversation (our case). It can be an easy one like #movies or a branded one like #17IACC. Being the account of IACC so small, the hashtags could easily help me to amplify the message because even though one account can be private, everyone can explore a conversation around a hashtag. So make sure EVERYBODY knows the hashtag. In my case was on every single image we used on Twitter, on the cover, even on presentations on the big screen. Make sure it also appears on Press Releases and other channels. The people need to see the hashtag. If they don’t use it the tweet won’t join any conversation and we won’t create any brand impact. Twitter is meant to conversate, to discuss things. As I explained before, it’s limitation of characters forces you say the core of the message. That is why Twitter got big for media outlets. It provides headlines, images, and links. Perfect! That’s what I wanted! There were more than a hundred events going on at the conference and all of them needed to be communicated, and in all of them, there were important people talking so I didn’t want to lose a chance of being seen. Of course, there were some plenaries and panels more important than others so you can establish priorities to cover one or other event. I know that on Facebook you can also tag people but it is normally more use either on a personal level (with friends or family) or with pages. On Twitter, we can tag directly the person, the human being! Don’t underestimate this feature. Tagging people on a tweet helps you to be seen by that person. If the person has 40 followers might not be a wow but if the person is the president of a country, a celebrity or a journalist, this can be really helpful. If they like the tweet we have chances to be RT by her/her, reaching their audience as well. Twitter is the social network that most of the professionals use to express their personal opinions about something. They might tell their friends on Facebook that they are in a conference, publish a selfie on Instagram once or tell their professional network on LinkedIn that they are attending the conference, but only one time. On Twitter is where they will say what they think about the different events throughout the day. Now that you know why Twitter is a great tool to cover a conference you may wonder, what happened with Facebook and Instagram? (Maybe not, are you?). Only the very important events of the conference were communicated on Facebook along with all the video interviews produced by an amazing group of young journalist that were invited to the conference. Instagram was used to publish maybe one or two very good pictures per day but mostly to share a lot of behind the scenes moments with Instagram Stories. To finish this, I want to share with you some other practices that worked for me. They are only 3 things: anticipation, design skills, and moderation. Since I knew the agenda in advance, I created visuals for the main events taking place. The best way to approach this is to create a simple template for all of them, a little visual identity that can help you to create them easily. The visuals had, of course, the logo of the conference, the name of the event, the names of the people that participated and of course, the hashtag. (As I said, the hashtag was EVERYWHERE). Not only I created visuals for the events but also other visuals with other parallel activities that the conference was hosting and some generic “Good morning, check the agenda for today!” or “That’s all for today, we wait for you tomorrow!”, for example. All and all, around 40 tweets were dedicated to that purpose. Once they were all made I scheduled them with my social media tool, Falcon.io. This was a real time saver. You can schedule content for social media in many tools but with Falcon I could see the calendar and see how busy was a day in terms of content in a quick glance. R.E.A.L.L.Y. I cannot be more thankful for my graphic skills. Basic Photoshop should be learned at the schools! In general, knowing the basics is really helpful but in this case, it saved my life. Above I was telling you that I created around 40 visuals and scheduled them right? Well, one thing you should know is that when it comes to conferences, the agenda can change A LOT, so you have to be ready to make changes and that affects the visuals too. Things will happen fast and you won’t have time to ask a designer to make changes. I’m telling you, LEARN some basic design! One tool that can help you a lot if you don’t have time or strength to learn Photoshop at this point of your life is Canva. This is what I used in 90% of the cases and it was really helpful. It is really simple, it is not as flexible as Photoshop but well, is online based, it works with many different sizes (already optimized for online and offline work), and also, is free for non-profits! Besides the scheduled tweets, there was plenty of live tweeting. For that I was attending to the main events every day, listening to the panelists and writing quotes down. With a phone with a decent camera and quick ninja fingers, you can get so much done. Here plays an important part again the conversation and how we articulate it through the hashtag #17IACC; thanks to that, I was able to spot many things that I was missing (due to the fact I’m yet to be able to astrally project myself or clone myself) (YET). People will often mention your account and tag you in tweets. React to them either by liking them or replying when possible and needed, especially if they have questions. The logic behind this is: think as a user. I got the scheduled posts, I was replying, retweeting, commenting… but what else would be useful for the community? I answer that with a bunch of visuals with quotes of the participants, the relevant ones. Also, I was taking short videos and publishing them on the go. For somebody that is not there, this is highly appreciated. TADAAA!!! That’s all folks! Covering a conference might look complicated, AND IT IS, but as you see, with some a decent phone, very good organization skills and a couple of tips you can make it!